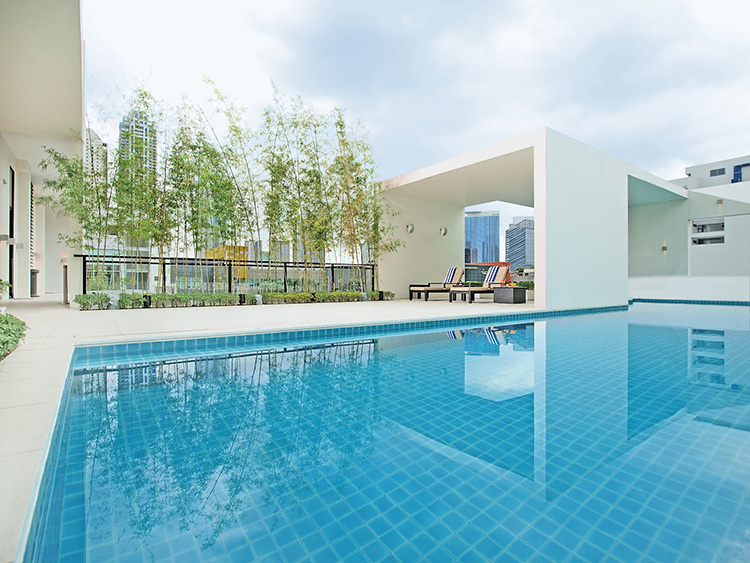 I got an invite from SEDA BGC for a family staycation with them during the August29-30 long weekend. Since we did not have anything planned, I readily said yes and confirmed our booking. Everyone in the family looked forward to it because SEDA generously offered to give us 2 rooms to make sure that all 5 of us would be comfortable during our stay. and falling asleep in style and comfort? Read more to find out! 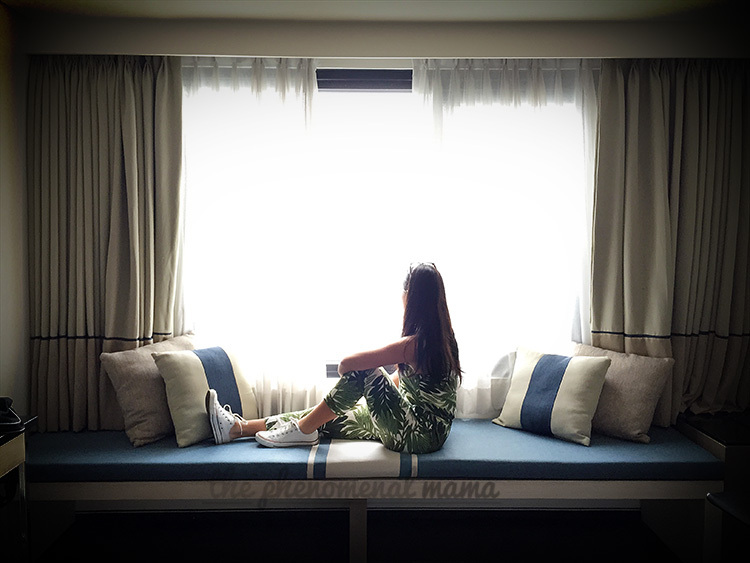 Read up to the end of this post to find out about SEDA Hotel's #BestFeelingsInTheWorld Instagram Photo Contest. 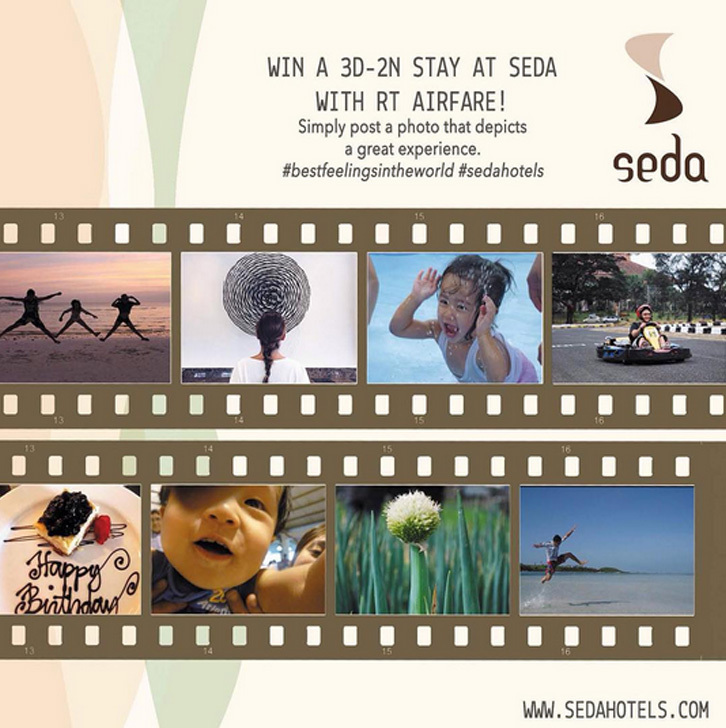 Get a chance to win 3 days 2 nights accomodation to any SEDA hotel + round-trip airfare for two! 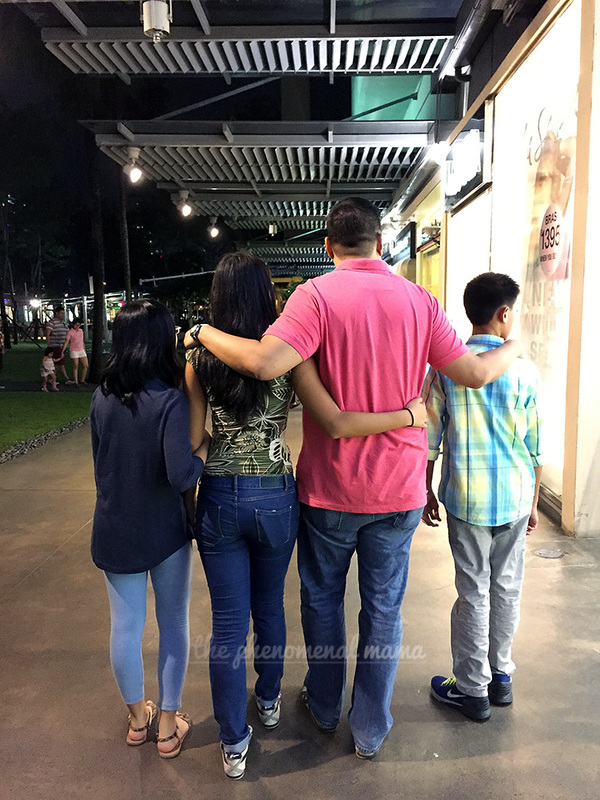 My family was also invited to staycation in their sister hotel, SEDA Nuvali just a few months ago. So we are familiar with the seamless and exceptional way that SEDA hotels combine the best of Filipino hospitality and service efficiency. 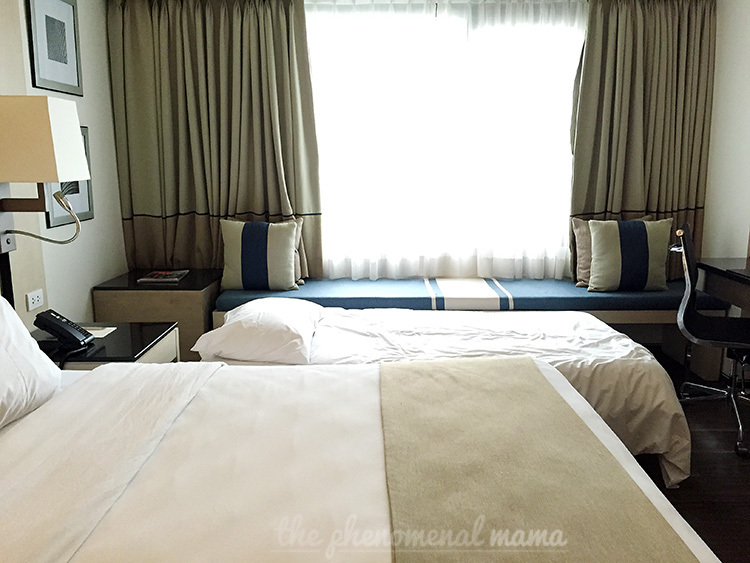 Seda (The Filipino word for “Silk”) is a Philippine grown brand chain of hotels that aims to make it a global chain that can be proudly called Philippine made. 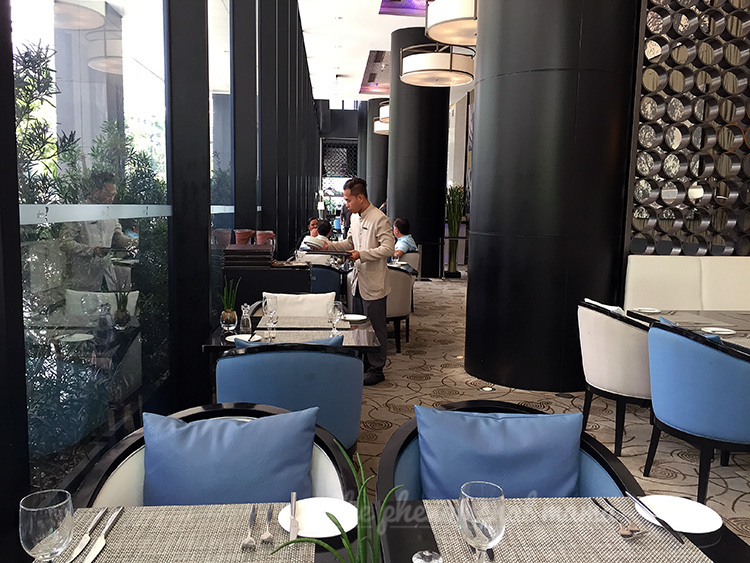 This is developed by the Ayala group of companies, the premier real estate developer in the Philippines, with the Ayala Center of Makati as its crown jewel, and now, Bonifacio Global City as its lifestyle enclave for the booming Philippine economy. This is where Seda BGC is located, along Bonifacio High Street. 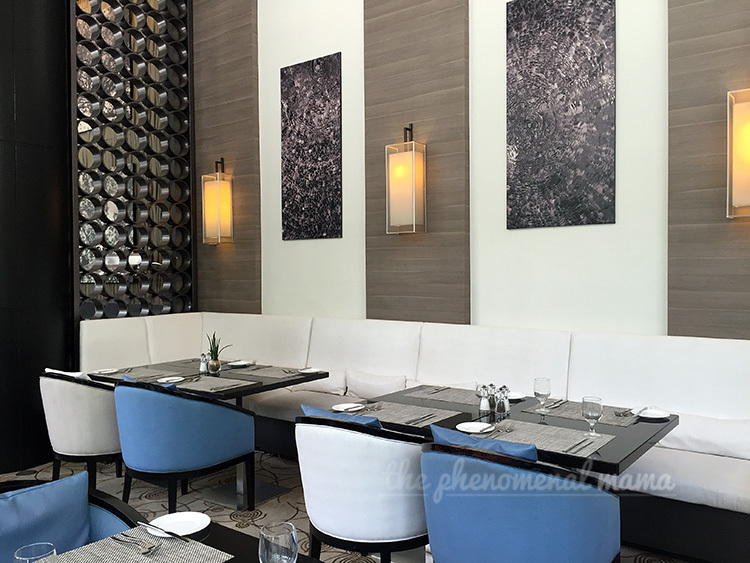 The interiors of the hotel are modern and aesthetically clean looking, and highlights Filipino talent and excellence by showcasing some of the Philippine's best designers like Kenneth Cobunpue, Ann Pamintuan, Tom Epperson and Jaime Zobel de Ayala. 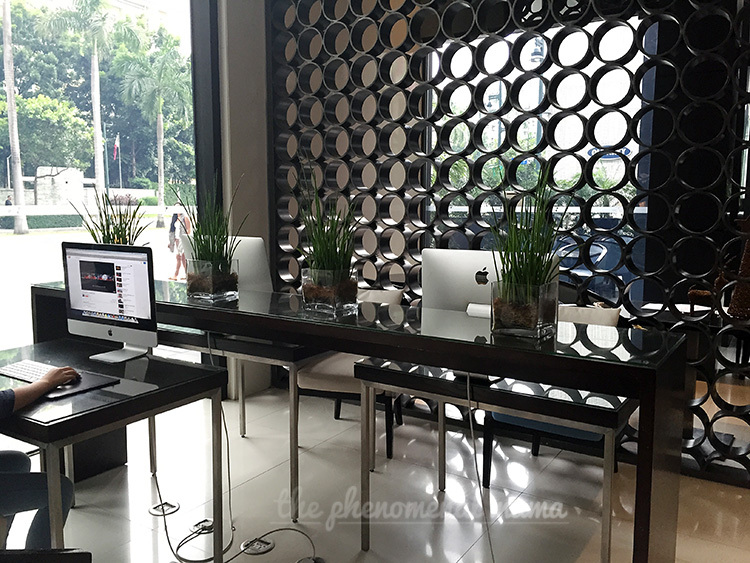 Seda BGC has a small business center in the ground floor, as well as complimentary wifi which allows guest to be online at their convenience. 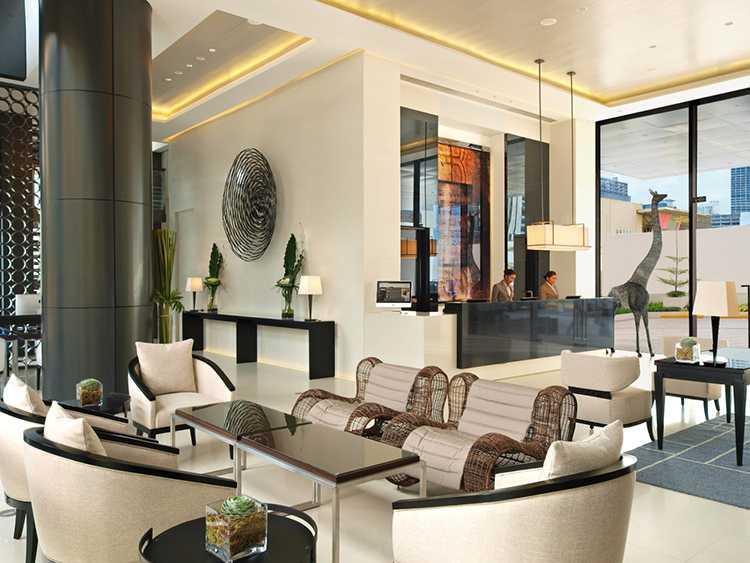 The e-lounge flows freely into the lobby and reception area, allowing guests to socialize, dine or drink as they please. 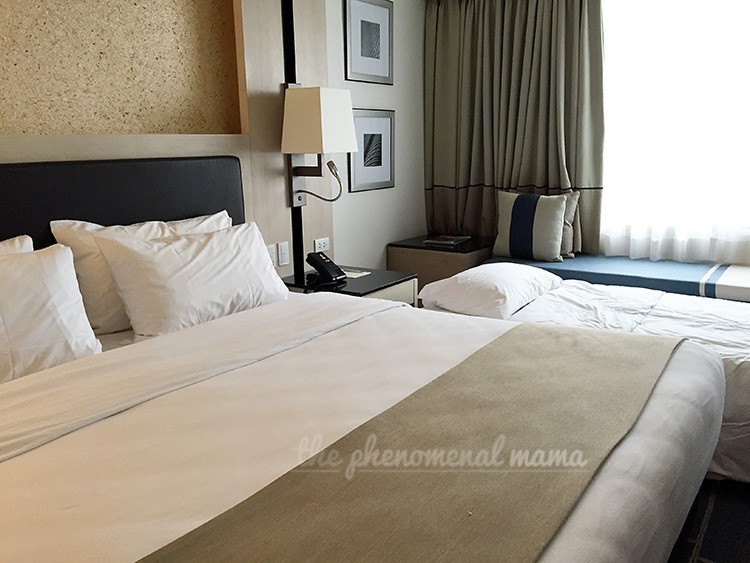 Seda BGC offers 179 spacious and well-appointed rooms rendered in soothing earth colors. 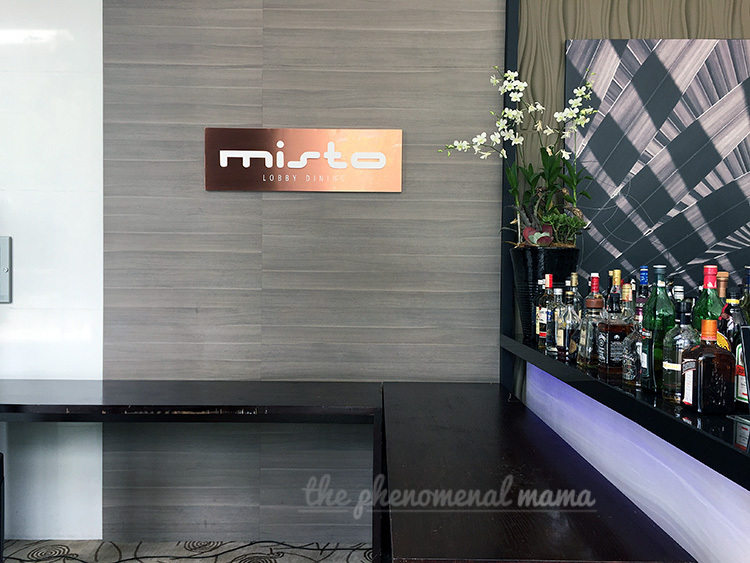 The rooms are tastefully decorated, with more minimalist design principles and Filipino inspirations. The neutral colors of the rooms are calming. 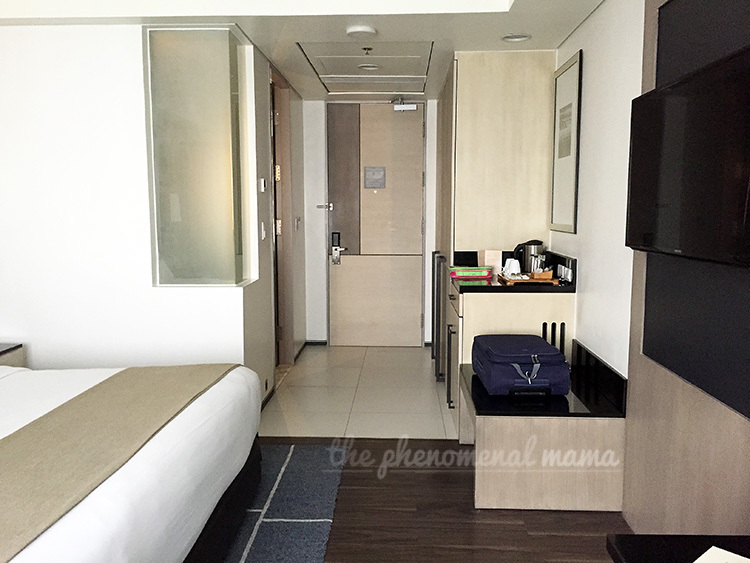 SEDA BGC generously gave us 2 deluxe rooms, one for C and me and the other one for my 3 kids, to make sure that everyone in my family has a comfortable sleep. They did not have any adjoining rooms available, but they gave us 2 rooms next to each other so I can easily check on the kids for my own peace of mind. The kids' room was already thoughtfully laid out with an extra bed when we got inside. Here's another view of the kids' Deluxe King room with an extra bed. 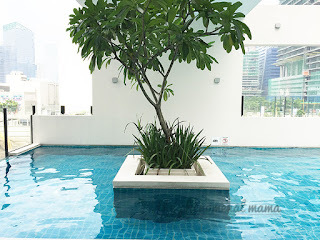 A deluxe room which can fit two adults and 2 kids (kids below 12 are free of charge) costs about PHP 6,000.00 per night, with complimentary breakfast, use of pool and gym, and complimentary WiFi access. 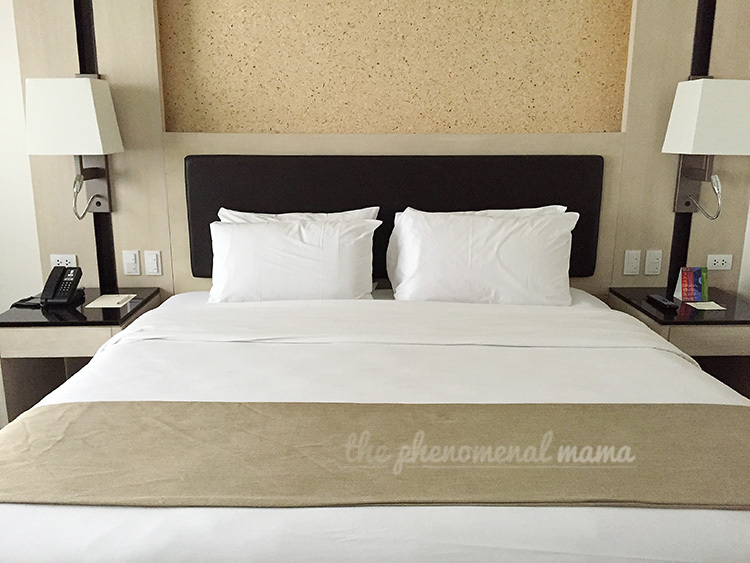 The SEDA BGC bed is comfortable, and the plush pillows offer the right amount of cushion. Deluxe Rooms have a floor area of 30 sqm with a king-size bed or two twin beds. They feature a 40-inch LED HDTV, media panel with HDMI, USB and A/V connectivity, iPod docks, and FM stereo. 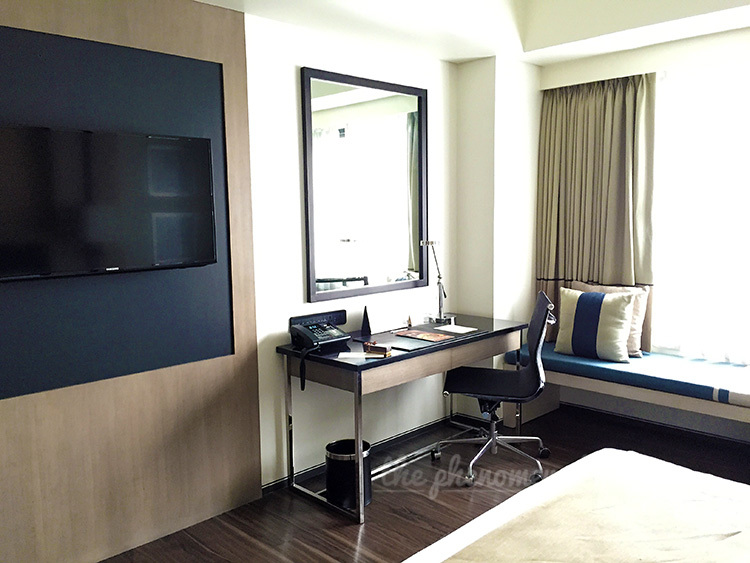 Other amenities include an executive work desk, mini-bar, coffee and tea making facilities, and in-room safe. The long alcove seat by the window can double as a day bed or extra-seating for visitors. It's becoming a much more common sight for my two younger ones to get along with each other. A penchant moment like this captured for posterity is priceless! My li'l man is no longer that little. He is now taller than his dichi by an inch. 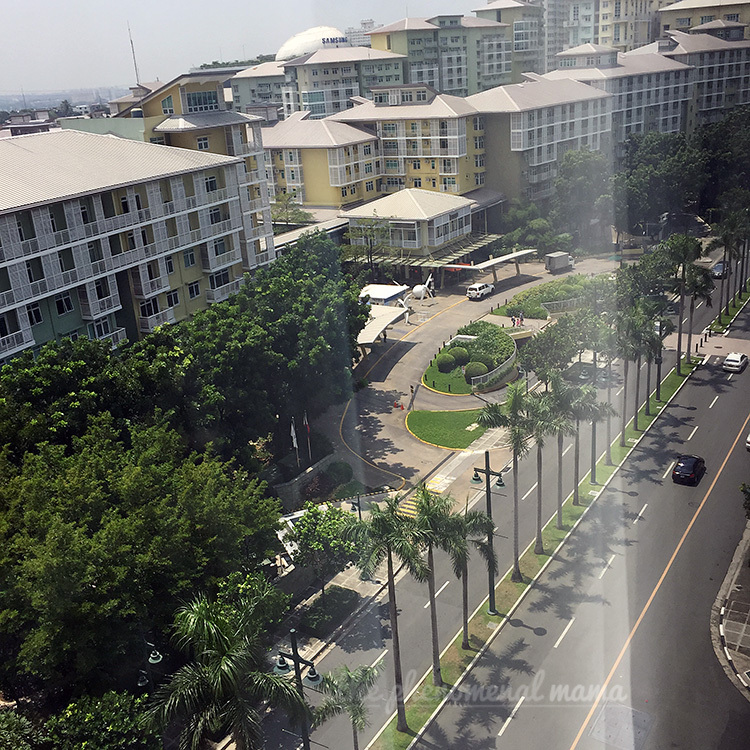 The view from our room... Serendra and Boni High Street are just a few steps away. We checked in at 2pm, and I just took a short nap in my room, and then I prepared to go up to the roof deck bar, Straight Up for an apericena with friends. 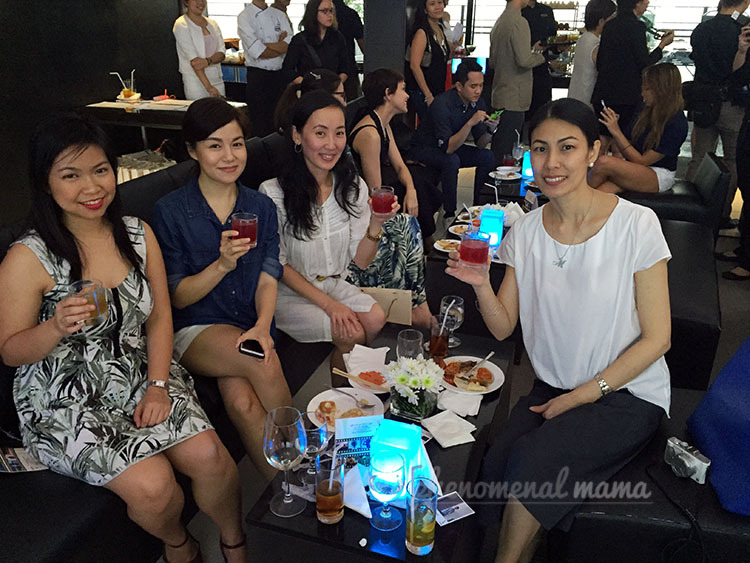 You can read more about the apericena or Italian style happy hour here. The kids explored the hotel and looked for the pool. They didn't swim this time, but I saw a lot of kids with their dads when I visited. The pool is 4 feet deep and is perfect for wading and getting some sun, but no laps can be done here by my swimmers. We are creatures of habit, and it's a habit of my family that we all wake up early. By 8 am we are already downstairs and ready for breakfast. 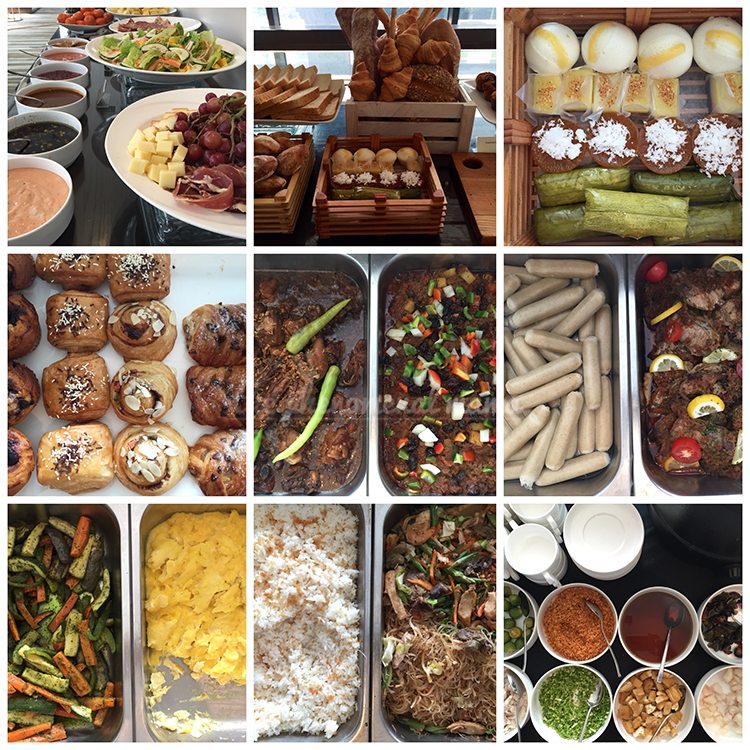 The hotel was full during that long weekend so SEDA had set-up a function room at the second floor where my family and a few of our friends who were also staying overnight could eat breakfast. Overall, I would recommend this hotel to family and friends who want to get away for the weekend but would still want the convenience of modern facilities. 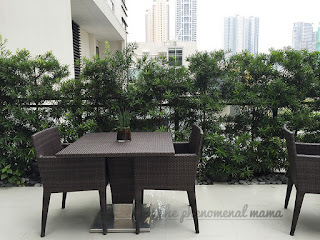 Stay inside your room and enjoy the accomodation, or go have some apericena in the bar and be pampered by the staff, or you can also choose to walk around, shop till you drop and people watch around Boni High street and Serendra. SEDA hotels just launched its campaign called “Best Feelings in the World”. The concept is based on the fact that travelers’ most memorable experiences come from a spark of warmth, a pleasant surprise, a little piece of happiness that turns moments into unforgettable memories. Group General Manager Andrea Mastellone explains that“The best feelings in the world” come from simple things that make a big difference -- a good night’s sleep under fluffy sheets, a warm smile from a friendly face, conversations over sweet treats -- moments represented in images used in the campaign and all based on actual feedback from Seda’s guests. To emphasize these good feelings and encourage people to share their memorable experiences, Seda is launching a photo contest on Instagram. 1. 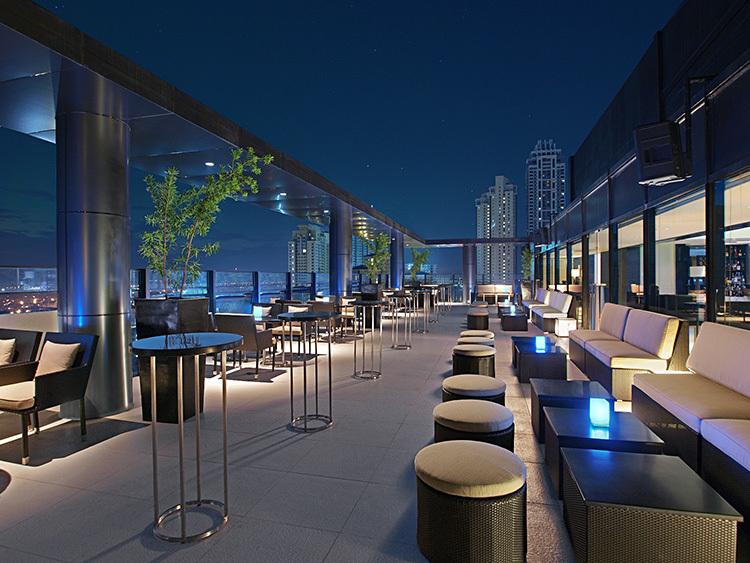 "Like" Seda Hotels on Facebook and follow @sedahotels on Instagram. 2. On your own Instagram account, show a photo of something that gives you a great feeling, with a brief caption to explain. Use the hashtags‪#‎BestFeelingsInTheWorld‬ ‪#‎SedaHotels‬. Pictures taken in Seda Hotels are encouraged, but not required. 3. Tag Seda Hotels in the picture (picture must be set on public viewing). 5. Winners will be chosen by Seda management based on originality, composition, relevance, technique, and emotion elicited. 1. Seda employees and their immediate family are disqualified from joining. 2. Entrants will allow Seda management to use the photos for collaterals and any other promotional purposes. 3. 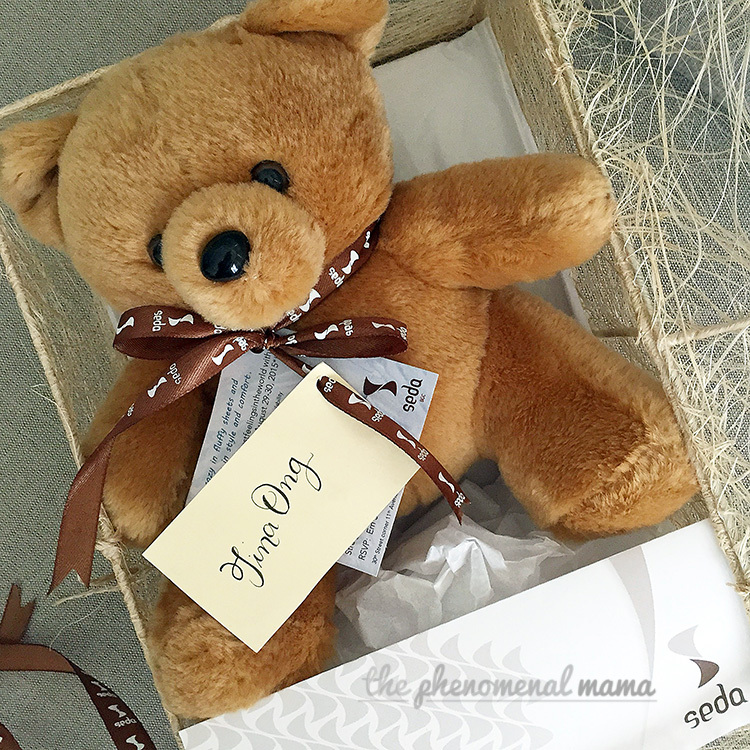 Winners will be announced on October 5, 2015. Winners will be announced based on originality, composition, relevance, technique and emotion elicited. One runner-up will be chosen in each Seda location—Metro Manila, Cagayan de Oro, Davao, Iloilo, and Laguna. Each runner-up with receive a complimentary overnight stay for two, in that particular destination.